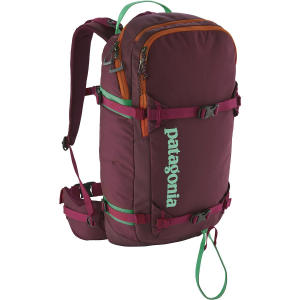 An inspired, slim contour day pack ideal for snagging first tracks through the sidecountry gate, the Patagonia Snow Drifter 20L Backpack features a long bridge-style opening allowing for quick access to the main compartment so you can grab any gear at a moment's notice. 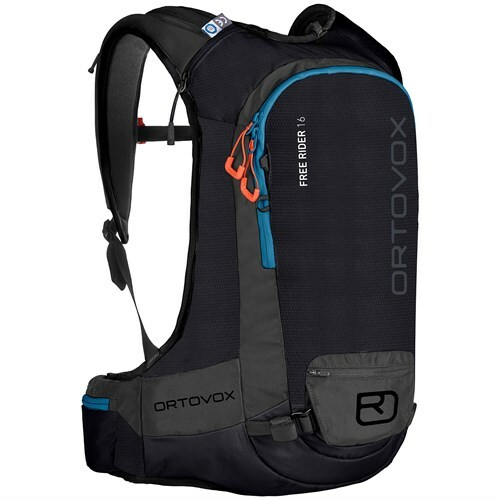 A clean suspension system incorporates heat-venting, snow-sloughing Air Flow mesh on the shoulder straps and back panel for all-day carrying comfort. Exploring off-piste? There are multiple carry options for skis and snowboards, all with locking cam buckles. Sling this pack on and trek into the unknown, knowing that everything you might need for a day in the mountains will fit into the Patagonia Snow Drifter. Built for quick forays into the sidecountry and backcountry, the SnowDrifter 20L has a close-fitting, slim-profile design. It opens via a clamshell zipper that provides fast access to the main compartment which includes individual sleeves for your snow safety tools. 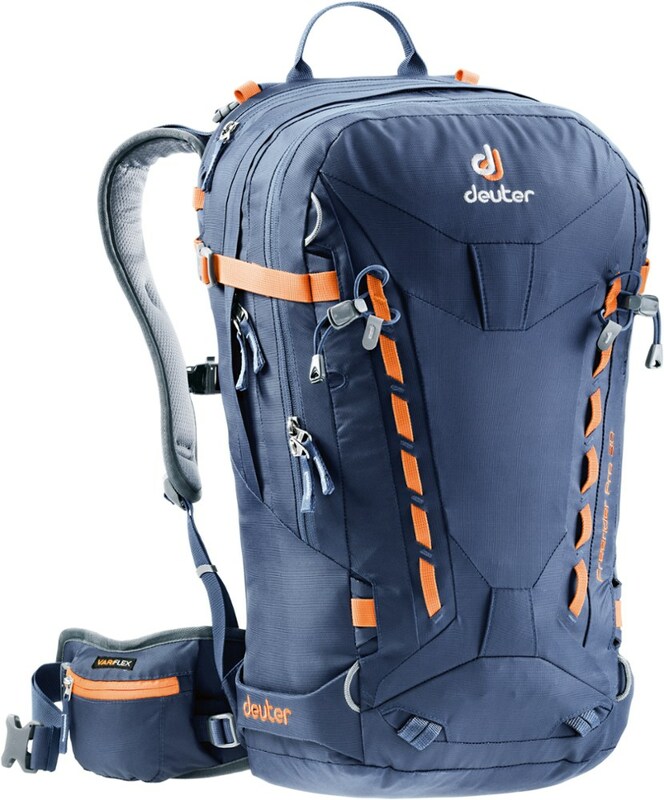 Sized to carry extra layers, extra calories and other short-tour essentials, it also provides multiple carry options with front compression straps for boards and skis, and side compression straps for skis-all with locking cam buckles. A separate microfleece-lined pocket keeps your goggles handy and protected from sharp edges. 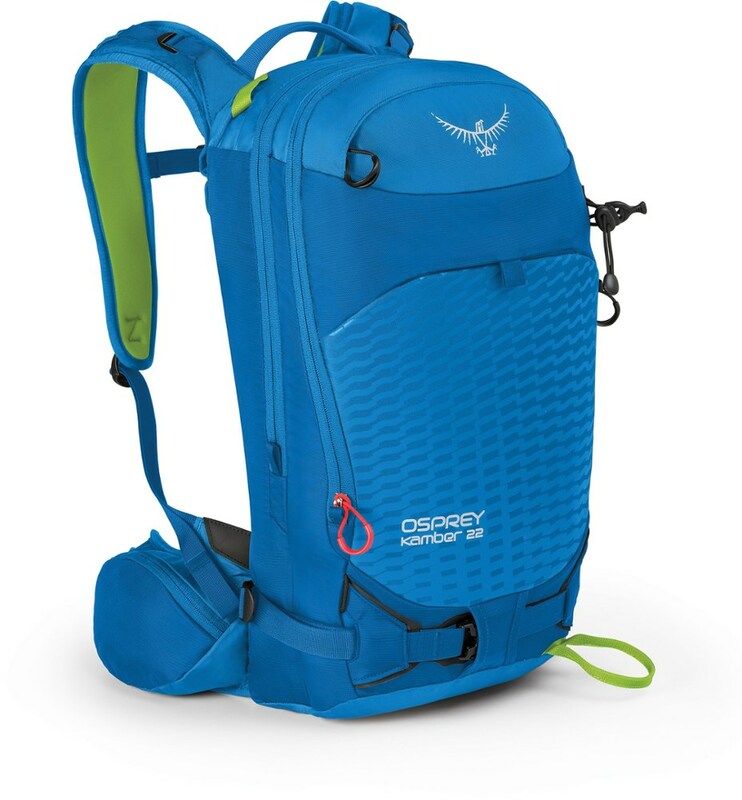 The clean suspension system incorporates heat-venting, snow-sloughing mesh on the shoulder straps and back panel for all-day carrying comfort, and an insulated pocket on the shoulder harness prevents hydration systems from freezing. The top-mounted haul handle is reinforced and sized for gloves. Made from burly 420-denier CORDURA(R) 100% nylon plain weave for puncture and abrasion resistance, with an even tougher 940-denier CORDURA(R) Ballistic 100% nylon base. Both fabrics have a polyurethane coating and a DWR (durable water repellent) finish. 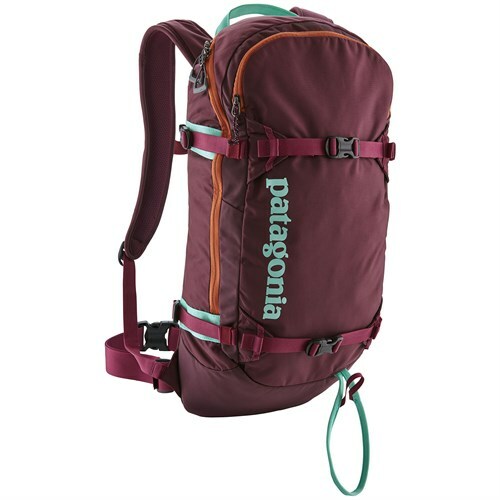 Built for quick resort-access backcountry missions and pre-work dawn patrols, the Patagonia Snow Drifter 20L Backpack is a low-profile pack with enough room for avalanche safety gear, snacks, water, and other short-tour essentials. 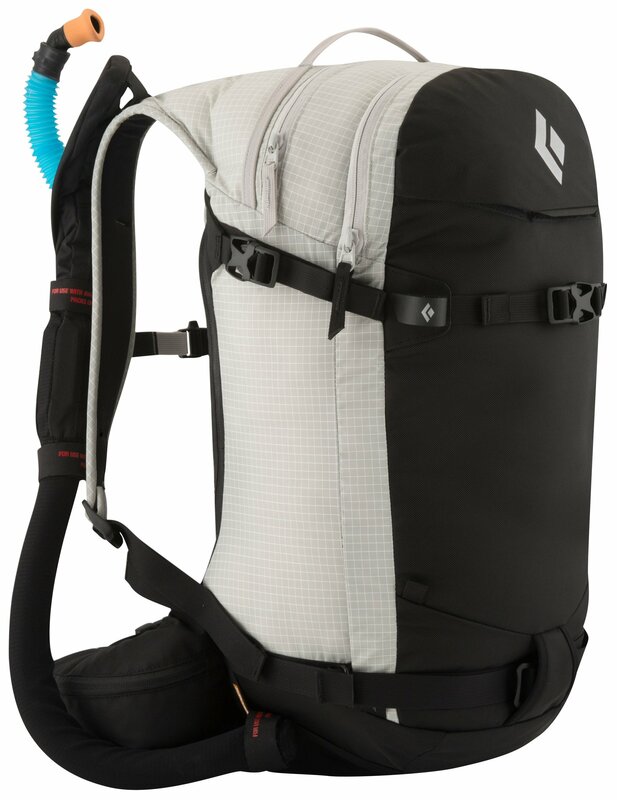 It accommodates both skis and snowboards, thanks to multiple carry options with locking cam buckles, and its low-bulk design helps you reach the top more quickly on backcountry missions where time is of the essence. Burly Cordura fabric ensures long-lasting durability, and the PU coating and DWR finish keep your gear dry when you get caught in a snowstorm. The clamshell-style opening allows easy access to the main compartment, and internal snow safety tool organization helps you quickly find what you need in emergency situations. Air Flow mesh on the shoulder straps and back panel promotes breathability to keep you cool when you're huffing it to the top. An insulated hydration system keeps your water supply from freezing in frigid conditions, while the microfleece-lined goggle pocket protects your gogs when you're hiking in sunglasses. There is also plenty of additional space for extra baselayers, trail snacks, and anything else you might need for quick powder missions. Built for quick-strike missions, the slim-profile, close-fitting Patagonia Snow Drifter Pack has a spacious main compartment to hold all your short-tour essentials. 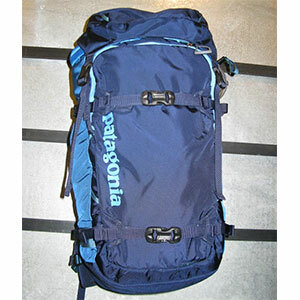 The Patagonia SnowDrifter 20L is not available from the stores we monitor. It was last seen April 10, 2019	at evo.